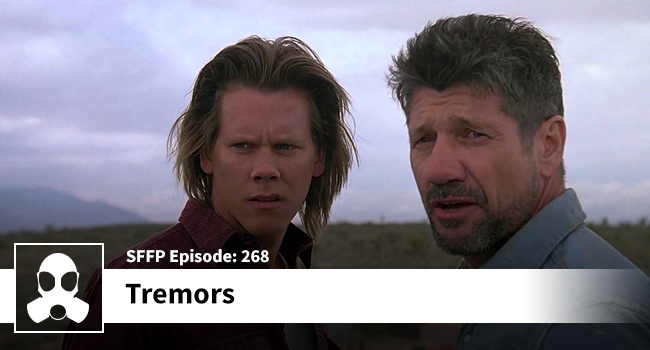 Matthew and Dean are joined by Jessie Privett from Countdown to Geektown to talk Tremors. The lads are unabashed in their love for this – now – classic monster flick. Hop in and listen to the lads discuss what they’d rather be killed by: the alien from The Thing, the alien from Alien, or Graboids from Tremors. …or be tossed to the Graboids! Help the show get discovered by subscribing and maybe even rating it if you get a minute. Thank you for listening and enjoy the show!